There is a whole load of information on this website, and sometimes it gets difficult to find things. But many of the same questions are raised time and time again. Although the following is intended to give a quick response to frequently asked questions, much fuller discussion can be found elsewhere, particularly on the Bongo Forum, in the Bongo Clinic, and (if you are a member) within the members fact sheets. All of the following information relates to the WL-T engine 2.5 litre Turbo diesel model. I’m Thinking Of Buying A Bongo. What Advice Can You Give? The first thing you should do is read the “Buying A Bongo” page. Then go and visit some of the dealers who advertise on this website. Then go and see some for sale locally (use Autotrader). 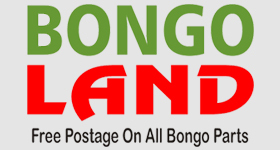 Then register with the Bongo Forum and ask fellow owners for their opinions. Then go and see as many Bongos as you can. Don’t rush in to a decision. What Is The Fuel Consumption Like? Despite what dealers might say, the absolute best you will get is around 32 mpg. This is at 60 mph. You will average about 25 mpg, although a Bongo used around town may struggle to reach 22 mpg. Why Are There Different Size Tyres On The Front and Rear? Manufacturers recommendations are that the tyres on the rear should be wider than on the front. This is for load distribution purposes. The correct tyres are 195/70 R15 on the front and 215/65 R15 on the rear. Having said that, many people run around with the same size tyres front and rear (typically 205s) without experiencing any problems. What Are The Tyre Pressures? 32 on the front, 34 at the rear. In standard UK operating temperatures you should use 10W-30 oil. In colder climes you should use 5W-30. If you find these difficult to obtain, then 10W/40 or even 15W/40 will do. Are Parts Easy To Obtain? There has not, as far as I know, been a single incident where a part could not be obtained. All service items and much more besides are available through the owners club, and there are at least 2 other specialist Bongo parts dealers. Failing that, original Mazda parts can be obtained from some Mazda dealers (but at a high price). The owners club have a list of nearly 100 garages across the UK who are designated as “Bongo Friendly” garages. I’ve Heard That Grey Imports Are Routinely Clocked. How Can I Be Sure Of Genuine Mileage? The only way you can be absolutely sure is to see the original Japanese auction documentation. If the odometer has been tampered with, it would have happened between the point of sale at the Japanese auction and being put in to a container. If a vehicle has low mileage and a low sale price, be suspicious. The state of the vehicle (internally) is a far better indicator than the stated mileage. If in doubt, walk away. What Are The 5 Most Commonly Reported Problems On A Bongo? The front heater motors and relay switches have been known to burn out. CV joints may need replacing on four wheel drive vehicles. A flashing “hold” light on the dash can be indicative of gearbox problems. Glowplugs can fail in sudden cold snaps and may need replacing. And perished radiator hoses (caused by sitting around on dockside for too long) can lead to cracked cylinder heads. But none of these can be described as common. It’s just that these are the top 5 reported issues. Can I Customise My Vehicle In Any Way? Most of the body skirts, side bars and chrome paraphanalia that you see on Bongos were installed by enthusiasts in Japan. Although some of this kit is available (at vast expense) through MazdaSpeed, most of it will only fit new (post 99) Bongos. 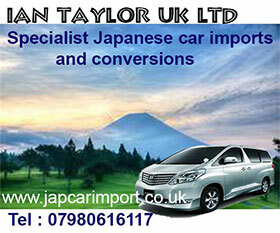 But UK based Samurai Performance will import body kit for you, and their website can be found here. Is There A Workshop Manual or Wiring Manual Available? The workshop manual is being translated and will be available through the owners club in May 2006. The wiring diagrams are available now (to members only). What Are The Dimensions of a Bongo? 4.6 metres long, 1.7 metres wide, and 2.0 metres high (2.1 metres with elevating roof). Can I Join The Owners Club If I Don’t Own A Bongo? Yes. Many eventual owners do this, especially to gain access to over 50 members fact sheets. How Much Diesel Does The Tank Hold? How Much Should I Pay For A Bongo? These are personal opinions, and prices fluctuate according to market conditions, but if I was buying a good quality 10 year old low-top 8-seater, I wouldn’t expect to pay more than £5,500. For an elevating roof model, you can pick them up for £500 more without any difficulty. For converted Bongos (with kitchens installed in the UK), then expect to pay between £8,500 and £16,500 depending on the specification. If you want a newer Bongo (post 99) these are in short supply and you can easily pay £12,000 unconverted. First Thing In The Morning, My Automatic Bongo Takes Ages To Shift In To Top Gear. Is This Normal? Perfectly normal. The gearbox does not become fully effective until the engine oil is up to proper running temperature. Is There Any Difference Between A Ford Freda & A Mazda Bongo? None at all, except the badge on the front, and on the steering wheel. Who Invented The Mazda Bongo? It was a Japanese scientist called Takeashita Inamoto. Although the first designs were made in 1935, the invasion of Manchuria and the subsequent spot of bother in the Far East meant that the patents were not submitted until 1948, and the first Bongo Friendee did not actually roll off the production line until 1995. Mr Inamoto is retired now, but still retains an honorary position in the corporation, and was the first person to be inducted in the Bongo Hall of Fame.